Born in Alcoy, Alicante, Spain in 1948, Ventura Diaz Studied in the Fine Arts school I Valencia where he achieved brilliant results. 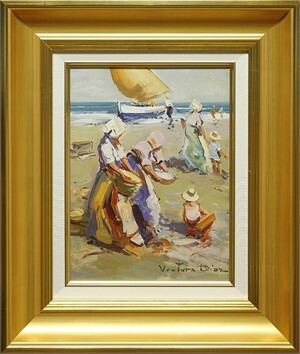 His unique impressionistic style of landscapes and seascapes are softly portrayed with realism. For his subjects, Diaz usually travels to find inspiration in nature’s landscape. 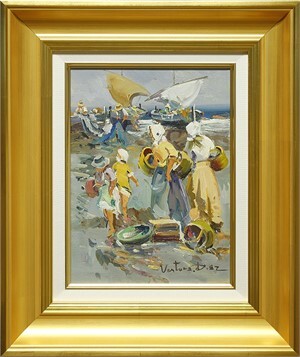 He prefers to paint in a relaxed style, impressionistically portraying life of his native Spaniards. Although Diaz has the training and the ability to paint a more complex and pretentious paintings, he states that he is full of human virtue and does not want to create paintings that have a calculated attitude. His paintings can be found in galleries and private collections, especially in Spain and the United States. Diaz has obtained many Spanish prizes, including an award he received in Madrid in 1965.